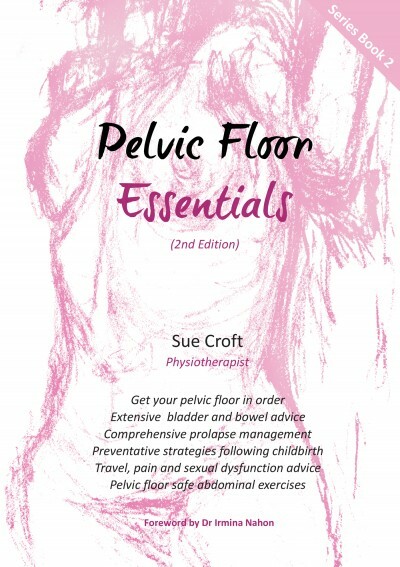 Sue Croft returned with another book titled Pelvic Floor Essentials from the Pelvic Floor Recovery Series. We converted and distributed this title also. The customer was quite satisfied with the results of both projects and we look forward to hearing from them in the near future. Anatomy of the bladder and bowel. Correct activation of the pelvic floor and abdominal muscles. Conservative treatment of urinary incontinence. Bladder and bowel emptying positions. Preoperative and post operative physiotherapy strategies. Information to give you confidence for your hospital stay. Post op ‘pelvic floor safe’ abdominal exercises. Return to work, sport, sexual function and travel advice. The book is easy to read and has simple diagrams and illustrations to demonstrate the anatomy and exercises. It is small enough to take into hospital and bright enough to find every year so you can revise your strategies and help your pelvic floor stay in good shape forever. Many women suffer with pelvic floor dysfunction such as stress urinary incontinence and prolapse following vaginal deliveries. Others have bladder issues such as an overactive bladder or recurrent urinary tract infections without having had children at all. 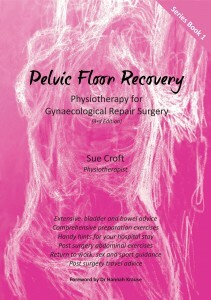 Following the success of her first book ‘Pelvic Floor Recovery: A Physiotherapy Guide for Gynaecological Surgery’, Sue Croft has written this second book to assist women in learning how to correct any bladder and pelvic floor problems using conservative measures whether having had children or not. 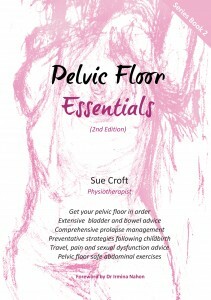 This book includes information such as: Correct activation of the pelvic floor and abdominal muscles; Pelvic floor muscle training programme; Good bladder and bowel habits and effective toilet positioning; Conservative prolapse management strategies; Pelvic floor safe abdominal exercises; Relaxation, breath awareness and chronic pain education; Sport, sexual function and travel advice. The book is easy to read and has simple, clear diagrams and illustrations to demonstrate the anatomy and exercises.